IIM Ahmedabad was the first IIM this year to declare its cut-off. It is that time of the year again. Books and pens are back. CAT 2018 is merely a few months away and the barrage of freeadvice is about to break loose. While only a handful manage to crack the exam, many feel obliged to share the elixir behind the perfect CAT preparation. In its essence, CAT preparation is a long six month slog needing all qualities worth mentioning. Unique in the skills it requires, CAT isn't predicated on testing scientific or historical facts, but in the application of logical and reasoning skills. Your patience will be tested, your will be corroded, your ability will be questioned and your sanity might leave you hanging. With the world directing you in all directions, it is imperative to keep a clear head and adopt the right approach for CAT preparation. Even though candidates move heaven and earth to perfect their CAT preparation, missteps arise across every turn to hamper progress and dampen spirits. The key in CAT preparation is making the least possible mistakes. 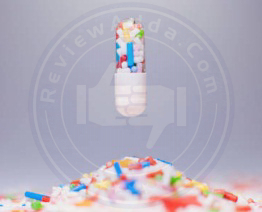 Generic it may seem, it remains the key behind success in any major undertaking. Though Robert Frost told us the road not taken doesn’t matter in the end, you can be rest assured about taking the one correct road to establishing a quintessential CAT preparation paradigm. You aren’t Robert Frost and CAT preparation is far from poetry. Rather than giving you a list of things to do, let’s discuss practices you should avoid while honing your CAT preparations. Have you ever watched Rocky? Rocky Balboa surrounded himself with people who loved and trusted him. He avoided media attention and unnecessary glamour to compete against the world's best boxer. The buzz around your CAT preparation should be of a similar ilk. Hanging around people who sour the mood and squeeze your optimism is the last thing you need. These people could be your roommates, friends, even your parents. Establishing a coherent study environment is crucial for ideal CAT preparation. Confidence and positivity will wake you up every morning to be ready and motivated for the task ahead. CAT preparation will bog you down and make you question your ability and self worth. A constructive and affable surrounding will bolster you in those weak moments and power through the pain. The killer amongst many first-time candidates. In the race to finish all targets and goals during CAT preparation, many candidates choose to pay less attention their strengths and repeatedly target sections where they are weak. CAT preparation is about strengthening weaknesses and sharpening strengths. If quantitative section is your strength, make sure you have solved every quant problem under the sun. Your weak section will test you, but your strong section should always reflect an air of invincibility. At the same time, stressing too much on your weak areas will never be helpful. Try forming easier ways to tackle your drawbacks and turn them into strengths. No one will breeze through a CAT exam. Some questions will stump you and prompt a different approach. The key lies in converting each part of your preparation into a fortress of solitude. If James Bond movies taught us any valuable, it was the famous saying: Never let them see you bleed. We always hear the question: How to prepare for CAT at home? First of all, the question to be begged for remains: Is it advisable to prepare at home? Ideally, no. If you have sources such as money and time, going to coaching classes for CAT preparation is not a bad idea. 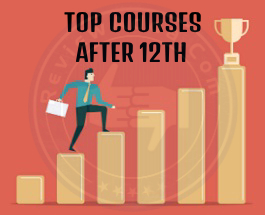 Besides getting updated and challenging study material, competing with fellow MBA aspirants can be a strong motivator for CAT preparation. There is also the added benefit of learning from the best in the business as far as CAT preparation goes. If such resources are not available, studying from home is also an option. CAT syllabus isn't an out of the world knowledge fest, but rudimentary lessons up to 10th standard. The nature of the questions is the challenging part, something prompting a different approach from a candidate. If you can sit at home and formulate the flawless model for CAT preparation, go for it. Coming to the underlying point, relying on your coaching classes to power you through the CAT is a recipe for disaster. 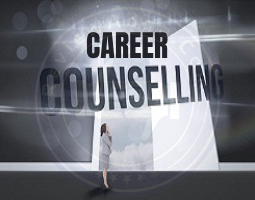 Without painstaking effort and gritty determination from your side, you might as well burn the stack of cash you're paying to the coaching centre for CAT preparation. Always remember, CAT is a competitive exam and CAT preparation is the only factor which will decide your fate. Be ruthless with yourself and challenge yourself more and more. A confused student is a bookseller's best friend. Buying assorted books before sitting down for CAT preparation always seems like a good idea. The smell of new books is all the motivation one needs to get down to business. The truth lies elsewhere. Select one book, maximum two for each topic. 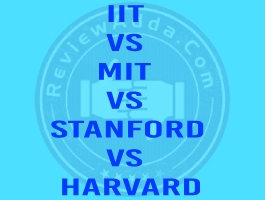 Consulting five books for quants and another five for verbal is detrimental for CAT preparation. Without going so far as to suggesting specific books, the ideal advice would be to stick with a small set of trusted material. If you are proficient enough to finish the material you started with, move on to other sources to challenge yourself further. Ever been stuck in traffic and regret not knowing the quicker route? Like a car in traffic, knowing merely a single path to an answer can leave you stranded and lost. Having an alternative rhythm while a solving problem opens the mind to different ideas and perspectives. This point is crucial while preparing for the quantitative section during CAT preparation. The language of a question is often twisted by CAT conveners every year. This can cripple all your CAT preparation in the final stage and leave you helpless. Your CAT preparation should come in handy at that time. Break down a problem to its core and tackle it in the most efficient manner. This is the stuff which makes MBA graduates. After all, what else is CAT preparation for? Engineers love quants. Humanities graduates prefer verbal section. But your CAT preparation is futile if preferences are anything to go by. IIMs don't want engineers or accountants, they want future MBA executives. If your CAT preparation is going to be ruled by prowess in one of the three sections of the exam, there is simply no point in giving the exam. Balance is vital for CAT preparation. If this is the first time you're appearing for the exam, this is the most essential CAT preparation tip for a beginner. 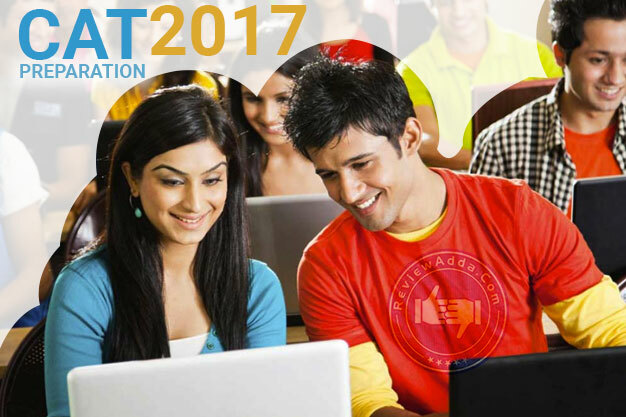 CAT 2018 is being conducted on November 26th this year . The creeping frustration born from failure to achieve targets is excruciating during CAT preparation. Knowing your limits is a great personal asset and an invaluable tool for CAT preparation. Give yourself ample time to achieve targets set earlier. Beware of playing too much with time, as the ticking clock is the enemy in the end. Set realistic goals and achieve them regularly to create a model environment for CAT preparation. 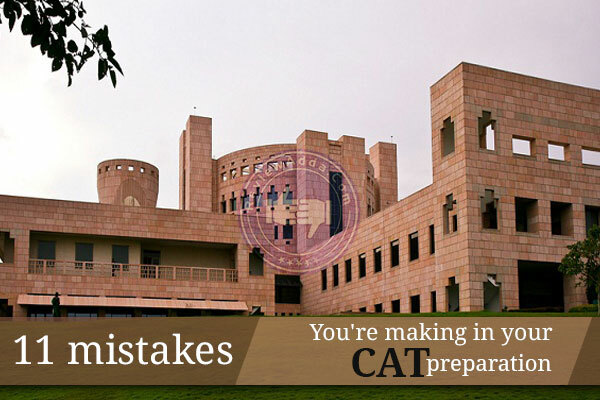 CAT is essentially for MBA aspirants. If you sit down for CAT preparation and do not see yourself as a top MBA executive in the future, stop going through the trouble. The ordeal of CAT preparation is only worth the hassle if you believe it will all be worth it in the end. Nothing is more depressing than wasting good years of your life for CAT preparation when you could be doing something you really want. CAT preparation is not a vanity project. It takes blood, sweat and guts. Study only if it is something you really want. Despite many rumours suggesting otherwise, there is a life after CAT. This aforementioned point may seem a shot at humour, but many students have wasted good years of their lives ruled by one obsession: CAT preparation and IIMs. Forget the coaching centre taglines. CAT is a very difficult exam cleared by a meagre number of candidates every year. Failure to clear the exam doesn't always reflect mistakes during CAT preparation, but sometimes just pure misfortune. When the entire country sits down for one particular exam, factors besides CAT preparation or knowledge come into play. Don't try to be too hard on yourself. Live a little and always plan a life after CAT preparation. All failure is failure to adapt. All success is successful adaption. There is always a new question everyone is trying to solve during CAT preparation. Always a new word somebody has learned. Isolating yourself from all other viable strategies being used by candidates for CAT preparation is a fool's gambit. CAT preparation is survival of the fittest. Incorporating new ideas, different tactics and perspectives is all part of an ideal blueprint for CAT preparation. Reality is easy. Its deception that's the hard work. This is not a 'don't'. This is a must do. If MBA is your unflinching desire and CAT preparation is what stands in the way, the path ahead is simple. Work, Work and Work. In football, the team which runs the most almost always wins. It is a simple principle. Hard work often and always pays. CAT preparation is not any different from some other lofty goal one might set in life. Technicalities can be dealt with, patterns can be understood, methods can be incorporated, but there is no substitute to sitting down on a quiet morning and opening the notebook for another CAT preparation session. To conclude, the last advice for CAT preparation is perennial improvement. The candidate willing and ready to improve at every step will always succeed over a closet candidate. Simplicity is eloquent but CAT preparation is anything but. There will be times when things may seem monotonous. Lofty goals always come packaged with doubt and fear. Those will be the times requiring unhinging courage and conviction. As mentioned before, CAT preparation is not a syllabus based exercise, but a test of logic and presence of mind. 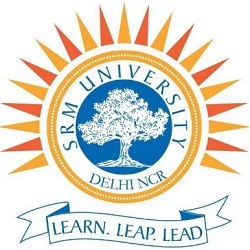 They don't bother about any placements at all... even those who have struggled to get marks... don't join the college if you are having sense for your career... if you just want to have a degree of engineering that also after so much struggle compared to other universities/co llege... then join here..